Want to know in 1 minute which Visa you need for Vietnam? 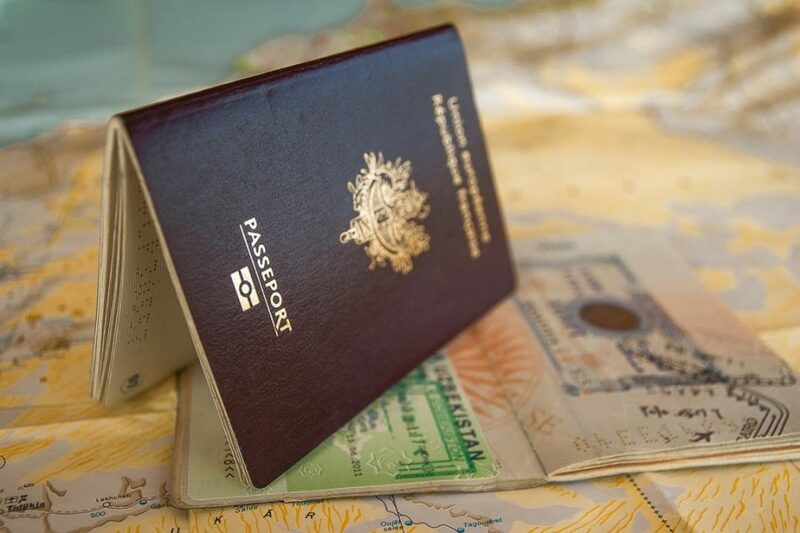 With this Visa Guide you will find out by answering 3 easy quick questions. We also compare the best and cheapest websites to apply for your Visa. Starting from February 2017, Vietnam started a 2 year pilot with electronic Visas. Since the start of this pilot, the list has been expanded from 40 to 46 countries that are now eligible for this single-entry e-Visa. Exit through checkpoint: If you do not have a (flight) ticket out of the country fill out the city from which you expect to exit. If you don’t trust this website you can also use vietnamvisacenter.org (recommended by Lonely Planet). However, fees are more expensive for the same service. The simplest options (30 days, single entry) start from $20. 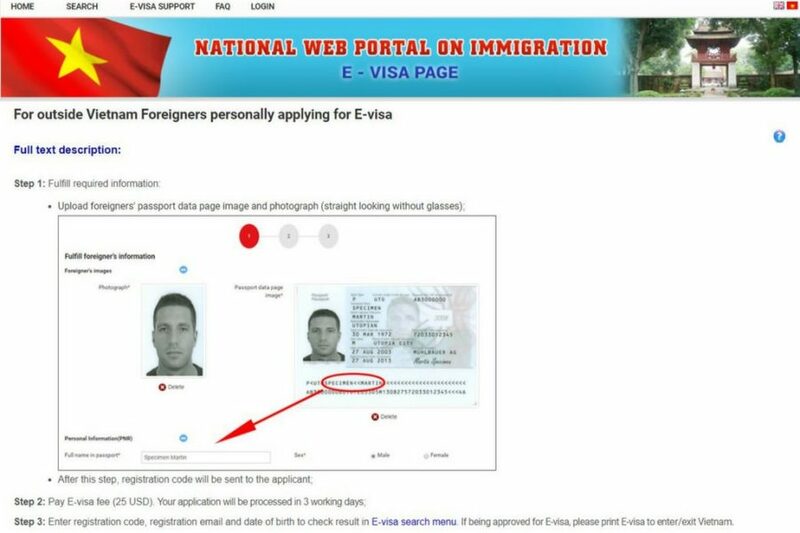 Besides your Letter of Approval you will need 2 portrait photos to get your Visa stamped. The Vietnamese government requires to have at least 10 names on the list of approval. This means your name will be visible for other people on this list as well. If you want more privacy, you can pay $6-$10 extra to get a private letter. With a Letter of Approval, you can officially only enter Vietnam at an airport. In some cases, you can also enter over land though. Always double check with the organization that issued your Letter of Approval. Is a return ticket required? An outbound flight or bus ticket from Vietnam is required, but in most cases they won’t ask you. If you don’t have this ticket, officials can refuse you from the flight to Vietnam or on arrival at Vietnam Airport. As a back-up you can always book a bus ticket outward of Vietnam from Ho Chi Minh to Phnom Penh (Cambodia) on Baolau for just 270.000 VND (€10). Vietnam doesn’t officially report these fees, but expected to pay around $25 p/day. You can prevent these fees by extending your Visa in Vietnam, but expect this to take over 5 days. Visit a local agency or the eVietnamVisa to extend your Visa while in Vietnam. Hi this is a very helpful post. I cannot apply for a e-visa, so I have to go down the route of Letter of Approval. Unfortunately the link to vietnamvisacenter.org does not work or the site is down. I also Google cheapvietnamvisa, and a couple of sites come up with .com, .net, etc. Please let me know the site address or other trustworthy sites you recommend to get my letter of approval. Thanks! Great the article is helpful to you. Currently all links are working so probably their website was down when you checked it. For cheapvietnamvisa.net, I only tested .net, so I do not recommend .com or other variations. Good luck! This was super informative, it saved me 6bucks, I didn’t know Indians could get an evisa. Googling vietnam visa’s just directed me to approval letter websites. Amazing website. I am glad I found this! Thanks for leaving a message Aditya! I was surprised myself how hard it was to find unbiased info about Visa’s. Most visa websites only provide info if they can make a business out of it and don’t care if the traveller has to pay more. That’s what I wanted to change. Always good to hear when people found helpful! Enjoy your trip to Vietnam! This article helped us a lot. We followed the instructions you have provided and in 3 days we are granted with e-visa. I appreciate all your effort in putting all the required travel information in a very organized way. We are travelling to vietnam next month and we are planning our itenerary based on the routes and travel information provided by you. Thank you so much for this reply! Reading these comments is what keeps me motivated! Hope you have an awesome journey and safe travels!